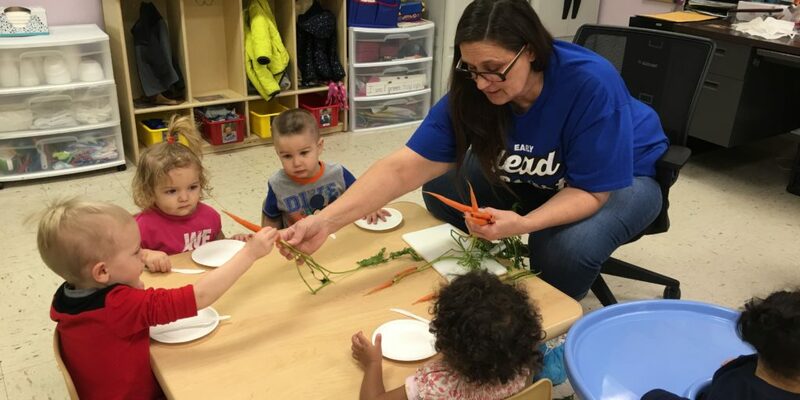 Alta Head Start’s recent Farmer’s Market provided the impetus for learning activities in our Early Head Start classes. Our children aged 6 months to 3 years took part in hands-on activities designed to teach them about the role fresh vegetables play in good nutrition. The kids helped “peel” and then taste fresh carrots, while at the same time learning language and counting skills.